I inspected this 25 year old home. You would think that the obvious significant items overlook by the contractor and city inspector from the original construction would have been discovered by now. If nothing else, I would have expected items like the one shown below would have been reported during inspections for sale transfers of the past 25 years. 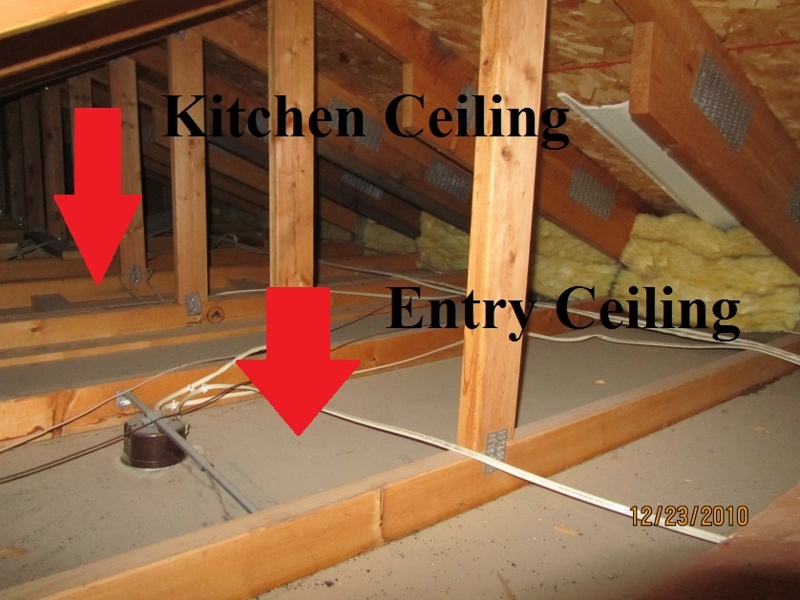 Well here is just one example of why a new home should have an independent professional home inspection at the time of construction. This home had two separate attic accesses because of the split level design. The lower level attic was completely void of insulation. Remember, this home is located in Minnesota. What a terrible loss of heat and wasted energy for all these years.